Officials in eastern Afghanistan say a gunman opened fire at a wedding, killing five people and wounding 15, before he fled the scene. Authorities say they are not aware of a motive for the attack Sunday in Khost province. The Taliban and other militant groups are active in the area that borders Pakistan, but shooting attacks on weddings are rare. The area, however, is rife with tribal rivalries, officials say. 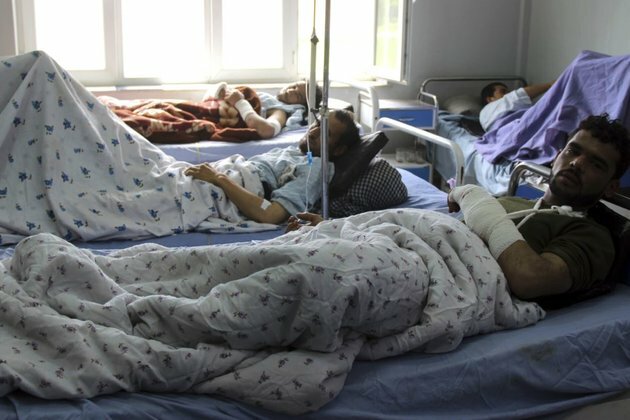 Also Sunday, at least seven children were killed and 10 others wounded when an unexploded mortar shell detonated in the eastern province of Laghman. Officials said the victims were playing with the explosive near the provincial capital of Mehtarlam. A provincial government spokesman, Assadullah Dawlatzai, said an investigation was underway to determine how the children found the mortar and why it exploded. He said all the victims were under 15.